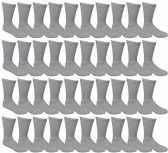 60 Units of 60 Pairs of SOCKSNBULK Women's Striped Fuzzy Socks, Gripper Bottom, Sock Size 4-6 - Girls Crew Socks at low wholesale prices. alltimetrading.com offers Girls Crew Socks at bulk discounted prices. Get a value pack of fun and colorful fuzzy socks for the kids the winter. This bulk pack of soft and warm socks will ensure that you never run out of fuzzy socks throughout the winter. These socks are crew length and goes above the ankles. Features a soft fluffy texture that offers comfort to the feet. Makes the perfect slipper socks or socks to keep your feet warm while lounging. Sleeping, watching TV, or eating dinner becomes a lot more enjoyable with toasty feet. Assorted styles available in colored stripes or solids. Choose from darker colors for the boys or brighter colors for the girls. Colors available include pink, purple, blue, black, gray, brown, and more. The perfect gift and stocking stuffer during the holidays. So plush, each step will feel like walking on a carpet. The cushioning offers an additional layer of protection between the feet and the floor. Ideal for hardwood or tiled floors that get cold during the winter. Each pack comes in ASSORTED SIZES with size ranging from 4-6 to 6-8. Size 4-6 will fit kids shoe sizes 7-10 (ages 3-6), size 6-8 will fit kids shoe sizes 4-7.5 (ages 6-10). Made with 95% polyester and 5% spandex. By Wholesale Sock Deals. Get a value pack of fuzzy socks for the kids! Soft, warm, comfortable, and comes in colorful assortments. Whether it�s for boys or girls, the children are surely going to love these plush socks. Makes lounging or playing at home a lot more comfy with toasty feet. Each pack comes in ASSORTED SIZES with size ranging from 4-6 to 6-8. Size 4-6 will fit kids shoe sizes 7-10 (ages 3-6), size 6-8 will fit kids shoe sizes 4-7.5 (ages 6-10). Made with 95% polyester and 5% spandex.